Budget Billing is available to customers who prefer to avoid significant fluctuations in their monthly utility bills. With this program, Austin Energy takes an average of a customer's previous 12 months worth of utility bills to calculate an average utility bill payment. With Budget Billing, accounts are reviewed and adjusted every six months.  The averages reflect all City of Austin utilities including electric, water, wastewater, solid waste, transportation and drainage fees. October 2017: Budget billing data for the period October 2011 through September 2013 revises previously published data. The revision reflects increased maturity and stability of our reporting system.